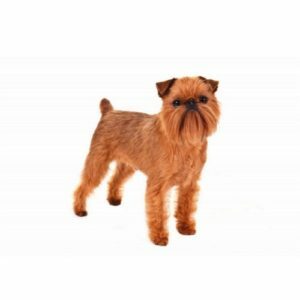 The intelligent and cheerful Brussels Griffon has a terrier-like disposition and is known for his almost human expression. This affectionate breed comes in a variety of colors, including red, belge (black and reddish brown), black and tan, or black. This breed makes a good watchdog and can be taught to perform a variety of tricks. A Brussels Griffon was featured in 1997’s hit, “As Good As It Gets”, starring Jack Nicholson and Helen Hunt.